One of my all-time favourite performers is David Bowie. Bowie is known for being a chameleon - both musically and sartorially (see, I know some big words - my education was not a complete waste!). His music makes up about 60% of my 1,500 song MP3 player and his style ranges from folk to punk to hard rock to disco. Many of his song titles and lyrics pop into my head from time to time - I decided a few Bowie-inspired cards were in order. I used a zig-zag (ok, it's ric rac) die and a star nestability to create the focal point. No dust, lol! Mister Bowie...has been my favoutite since I was 18 years old, many moons ago! A great card! Love this monochrome card, Ardyth! You'll have plenty of inspiration to go at with all of Bowie's different incarnations. This is a fab card! David Bowie is one of my Heroes, and I can't wait to see his exhibition in March at the V&A museum of his stage costumes! Love the stark black and white combo here! 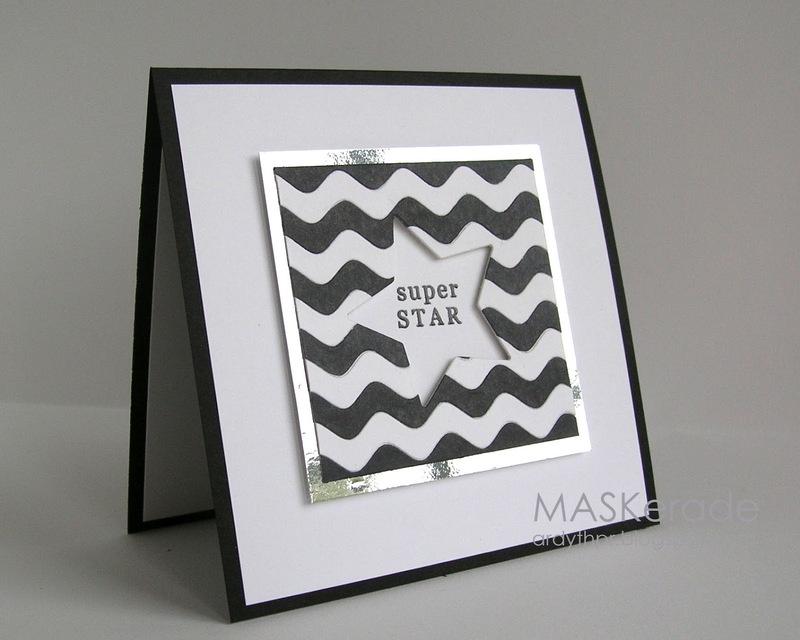 LOVE the black and white zigzags and the silver frame is perfect to set this off! The silver really does 'rock' this card! Love the ziggy touch. Have you watched the Bing Crosby/David Bowie Little Drummber Boy video that was made a few years back? Seriously, I get goose bumps and tears every single time I watch this. Their voices were meant to be blended! Oh wow! The silver mat is perfect for this rock star card! My friend in High School was totally obsessed (crazy obsessed) with David Bowie.